The upwards trend among varying demographics to buy here is largely due to the great value for money that the area represents. Here there are a number of excellent schools both in the state and private sectors, which has been known to draw in the friendliest of families. These schools include Lyndhurst Primary, St. Saviours, Dog Kennel Hill and The Charter School. Being home to one of the world’s leading arts institutions, Camberwell College of Arts, and of course being in close residence of South London Gallery, the area is fast becoming a hub for artisan types. It’s also the houses that offer an attractive townscape punctuated with a characterful take on elegance – here you’ll find rows of polished cream coloured Georgian houses standing beside well-known street murals. The area has a fantastic vibe with many things to do – afternoon cocktails at The Crooked Well, a Victorian swimming pool, table tennis in Camberwell Green, the finest Tapas at Angels & Gypsies, Sunday concerts on the bandstand in Ruskin Park, community choirs, swing dance and more! Camberwell is always improving too. Burgess Park has recently had a whopping £6m makeover and is now the perfect environment for the sports-mad, offering a sports centre, football pitches, cricket pitches, tennis courts, table tennis, fishing permits, a 5km running track and a BMX track. Camberwell is a great choice for buyers and sellers. The rental and buying markets are at their busiest ever and here at Hunters Camberwell, we know just how to take advantage of that for our customers. Whatever your interests, we can guarantee that we have something to offer everyone. Now engulfed by the great metropolis of London, Camberwell is an inner city area that blends a diverse and culturally rich population with a music and arts scene accessible to all ages. This really sets it apart from its humble beginnings as a small Surrey farming community in the 1800s. As a centrally located zone 2 part of South East London, we’ve seen an influx of people look to buy in this area over Herne Hill, Brixton and Dulwich in recent years And we have a substantial amount of desirable Victorian and Georgian properties in the portfolio to be able to accommodate for this growing demand. Hunters Camberwell can help in any way you need. Need to sell a house, or rent it out? Or are you looking for somewhere to let or buy? Not a problem. Our friendly and experienced team is on hand to meet all your needs. We know the Camberwell area incredibly well. So we’re in a great position to provide you with an excellent service. Sell your property with Hunters Camberwell for the best possible price. We offer free valuations to everyone. You can get your free valuation in two ways. Either online (click here, it only takes a few seconds) or ask us to come and see the property in person. Get in touch with us today to get started. Call our branch on 0207 708 2002. I'm really happy that I chose Hunters Camberwell for the sale of my flat. Darren has been fantastic throughout the process, really friendly and helpful, keeping me well informed all along the way and giving good advice. Always easy to reach by phone or email, and quick to respond if I had questions or needed help. Chris and Brett were great too and I felt in safe hands with the whole Hunters team. I would definitely recommend them to friends and family. Hunters provided me with exceptional service for the recent sale of my flat. Darren was attentive, responsive and kept me well informed throughout the process. I would highly recommend Hunters to anyone selling in the area. Superb team. 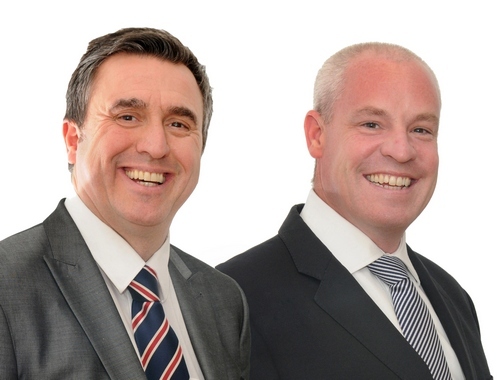 Darren, Brett and Chris have provided a 5 star service throughout the process of selling my property. They frequently went over and above - and have been an absolute pleasure to deal with every step of the way. Would use them every time - in fact have as this is the 3rd property this team have sold for my family. Faultless. Click to view preferred suppliers for Hunters Camberwell. Despite having been engulfed by London over the last century, Camberwell has always retained its own identity. This has been enhanced even more in recent months, with a focus on the local farmers market which sits in Camberwell Green. As a village that began the 18th century as a farming community, it seems only fitting that the area is able to return to its roots some 200 years later. As well as the farmers market, ongoing work to the town centre has ensured that the area is constantly improving and as such, is becoming a more appealing location to home owners looking to relocate to the heart of London. With so many buildings being erected in every direction throughout London, it’s never been more important for the small areas to retain a sense of community, something which Camberwell has in abundance. The local feel that is inherent in Camberwell is tempered beautifully with the many Victorian and Georgian properties that make their home here. These buildings, coupled with the surrounding area and affordable property prices, all combine to make Camberwell great value for money for the increasing amount of home buyers who are looking to relocate in the area. As well as the best of beautiful Camberwell property for sale & rent, the area is home to some excellent private and state schools, as well as two very notable universities, (Camberwell College of Arts and Kings College Medical School)/ This makes the area a great choice for buy-to-let investors as well, taking advantage of the wealth of local Camberwell property for rent. For those living in the area, there’s plenty to do without having to venture out into other areas of London. Anyone interested in adding a little culture to the day can pop down to the creative workshops at South London Gallery, followed by afternoon cocktails at The Crooked Well. However, if it’s exercise that stimulates you, table tennis in Camberwell Green, or a dip in the Victorian swimming pool may be more to your taste. Angels & Gypsies offer Tapas and there are Sunday concerts on the bandstand in Ruskin Park. There are also community choirs, swing dance and much more, so you should never be stuck for something to fill your day. One of the aspects that gives Camberwell its appeal is that it’s constantly improving. A £6 million redevelopment in Burgess Park has a sports centre, football pitches, tennis courts and even an area for those fishing enthusiasts in the area! There is a 5KM track if you fancy an early morning jog and a BMX track to keep the kids of the streets.